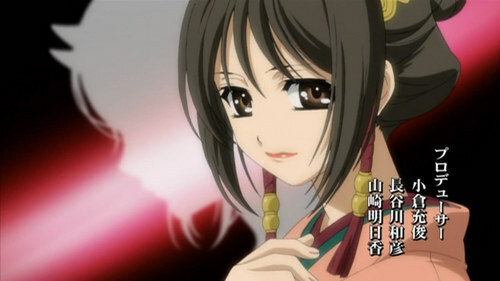 Which theme from hakuouki (season 1-2) u like the most? I am not really sure about this so I am gonna ask. Did Hijikata Toshizo die in the end after the fight with kazama because blood lost of he is still alive? A new site has opened for Hakuouki Sweet School Life on 26th April 2013! With many undetermined information and only some released. Hakuouki: SSL Is a "Dōjinshi" of official fan-published spin-off of the SSL that was featured in the Zuisouroku fandisc; Rather than SSL being a clip-note like in Zuisouroku, SSL is it's own game, where a change of settings, from the end of a Shogunate period to a modern academic theme, takes stage. Although the design of the characters are different, the nature of it remains. swaying in the brilliant wind. I quietly make my wish: O sky, please stop the time at this moment. a comment was made to the poll: Best Version of Todo Heisuke? a comment was made to the poll: Best Version of Harada Sanosuke? What gender is this anime character?